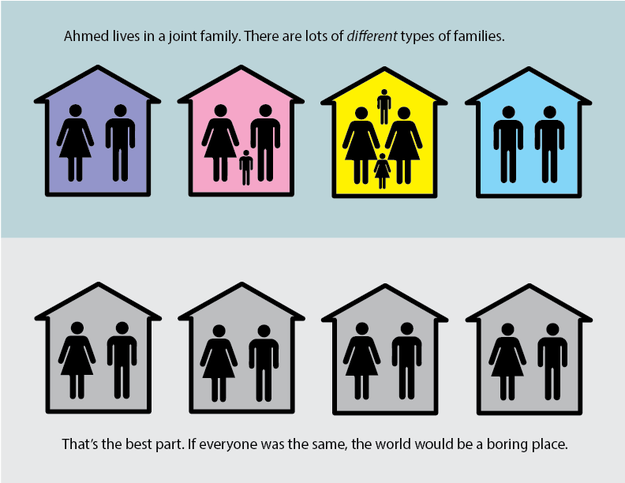 Eiynah, a Pakistani/Canadian blogger and artist who covers issues on sexuality in Pakistan, wrote and illustrated an educational children’s story last February about a Pakistani boy, Ahmed, whose uncle is gay. What started as a simple blog post soon caught a wave of controversy and fervent support (over 10,000 hits in the first 48 hours), spurring Eiynah to publish the book with the help of a crowdfunding campaign on Indiegogo. Despite the push from her followers and political enthusiasts, the attention her story had already sparked wasn’t the only element leading to her success – her campaign was also very well planned and executed. Eiynah’s crowdfunding approach was simple and effective. She focused her efforts on raising awareness through social media using her blog and Twitter account: @NiceMangos, and also created a separate account for the book: @GayChacha. Providing desirable yet manageable rewards – from shout-outs to personalized illustrations and dedicated book donations – her choices were appropriately geared towards her target audience of parents, teachers, and activists. Meanwhile, the campaign’s page demonstrated all the attributes of success, including a clear definition of what the money is for, what contributors and the public can expect to receive, a contingency plan of what happens if the project receives more or less funding than the initial goal, as well as the social and political impact of the venture. It’s the kind of small, passion project type campaign that is characteristic of Indiegogo, generating a strong pull to action within the reader rather than a blatant financial request. While any campaign can incorporate these essential logistical details, some fail at grabbing the emotional strings of the reader enough to solicit a contribution. Eiynah, however, does the important work of filling in the blanks with the political climate and examples for why it is so necessary to educate and spread the word on LGBTQ ally culture. 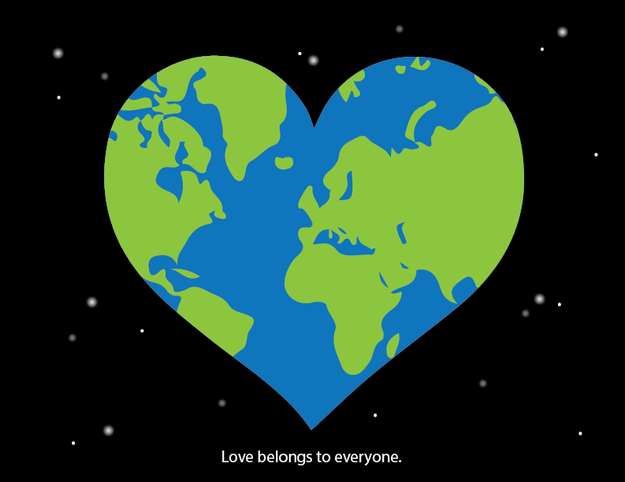 Embracing the slogan, “Love belongs to everyone,” Eiynah focuses on what her book can do for everyone – not just children – and how sharing the message can potentially lead to lasting changes in Pakistan (where homosexual activity is illegal) and around the world. With this information, the contributor knows that their help will make a difference where it counts – even if they simply share the link and voice their concerns on social media (see “Other Ways You Can Help”). In an interview with Lipi Mehta from The Reader, Eiynah noted that there have been numerous challenges in her efforts to get the book distributed commercially in Pakistan, however there has been positive feedback from those who have accessed it online and through her donations. The good news is, the book has gathered international attention and is now available in 8 languages (including Pashto, Urdu, Arabic, Hebrew, Italian, Spanish, and Russian). It was even approved by the Toronto District School Board and read during “Pink Day” assemblies at various schools in the GTA in April 2014 (The Day of Pink is an international anti-bullying initiative seeking to eradicate discrimination, homophobia, transphobia and transmisogyny across the world). Some called Eiynah an “enemy of god”, declared her worthy of death, and even called for the death of the chacha in the story, a fictional character. Religious Muslim groups in Canada published articles decrying the project and angry parents spoke out on a radio show, but Eiynah says that only served to accelerate the crowdfunding. 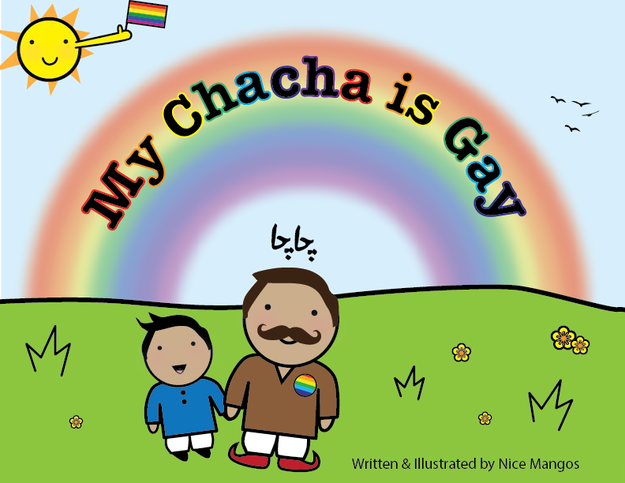 My Chacha is Gay can be found locally in Toronto at Glad Day Book Shop. It can also be purchased internationally at www.mychachaisgay.com. Freelance writer and Children's Media professional. Storyteller, dreamer, adventurer, mental health advocate, lover of authenticity and quirky personalities. Let's get weird!